Between 2005-2013, Iraq's democratic government gradually assumed more and more responsibility for running Iraq from the allied forces that had helped to overthrow the dictator, Saddam Hussein. However, Prime Minister Nouri al-Maliki was accused of filling official positions with his Muslim Shia allies at the expense of the country's other main groups, the Sunnis and Kurds. As Saddam Hussein had been Sunni, and had committed atrocities against some Shias, there was bound to be a reverse reaction in the country even if it were only a political one, but it did little to unify the country. In October 2006 a jihadist group announced the creation of what it called the Islamic State of Iraq (ISI) and, in April 2010, Abu Bakr al-Baghdadi became its leader, succeeding the two high-ranking Al Qaeda leaders in Iraq who had both been killed by US forces. The 'Arab Spring' of 2011 had kickstarted a civil war in neighbouring Syria, Many of the opposition groups included an increasing number of hardline Muslims, some of which had links to the self-proclaimed freedom fighter group al-Qaeda (prescribed as terrorists by much of the civilised world), while others supported the recreation of the Islamic caliphate, especially the now growing ISI movement. The position of caliph descends directly from the Prophet Muhammad himself, and had been held by the Abbasids before being destroyed in 1258. The Abbasid puppets were proclaimed in Mameluke Egypt until 1517, after which the Ottoman empire held the title until it was formally abolished on 1 March 1924. Two days later the title was claimed by the Hashemite king of Hijaz, Husayn, who was the last to do so and did not have universal support for that claim. 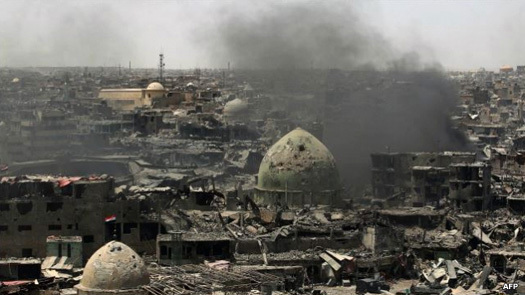 The notion of reviving the caliphate seemed initially to be a pipedream, but sudden massive gains of Iraqi territory by ISI early in 2014 made it a reality, and the Islamic State was proclaimed on 30 June 2014. Known variously as Isis (Islamic State in Iraq and Syria) or Isil (Islamic State in Iraq and the Levant), or more simply as IS, the fledgling caliphate laid claim to all of Iraq, Syria, and Lebanon as part of traditional caliphate lands. The initial claim was that the state extended from Aleppo in northern Syria to the Diyala province in eastern Iraq, with the northern bank of the Euphrates forming its border with Syria and Iraq. Very quickly the 'state' proved itself to be a haven of barbaric cruelty, extremism, and torture. It openly exported terrorism around the world, trained foreign Muslims to commit atrocities and random violence against innocent civilians, and perverted the generally peaceful intent of mainstream Islam. In the wake of the Tunisia beach attack in 2015, there was increasing pressure to stop referring to Isis (or Isil) by its self-selected name of 'Islamic State' on the grounds that it granted the terrorist group legitimacy. Daesh, an adapted acronym of its Arabic name - Dawlat al-Islamiyah f'al-Iraq w Belaad al-Sham - is similar to another Arabic word - das - which means 'to trample down, to crush'. Apparently the use of this name to describe IS was intensely disliked by them, perhaps because of its easy confusion with 'das' but probably also because Arabic diminutives can be seen as slightly insulting. Daesh suffered its first serious reverses in 2017. The civil war in Syria had largely died down thanks to Russian support of the legitimate regime there, and Iraq had largely resolved its own internal problems thanks to the scare it had received when large areas of northern Iraq had suddenly been abandoned by its own army in 2014. Alone amongst Iraqis, the Kurds of northern Iraq had not crumbled. Instead they had provided the backbone of Iraqi opposition to Daesh. Now, with western coalition aerial support, Iraq was able to make large inroads into Daesh's territory from the east while Syria did the same from the west. Massive swathes of Daesh-claimed territory fell during the course of 2018, and by the end of the year only two or three notable enclaves remained. These gradually fell between then and early 2019. The so-called Islamic State had fallen. Iraqi national forces are apparently stunned by the initial wave of Daesh attacks and the seizure of territory in northern Iraq, which sees several cities fall with barely a whimper. Iraqi army and police forces in Mosul simply lay down their arms, change into civilian clothing, and flee. The Kurdish population of north-eastern Iraq, always strong and self-sufficient, secures its own districts against the IS fighters, while they initially seem more interested in securing the Sunni regions of the country. 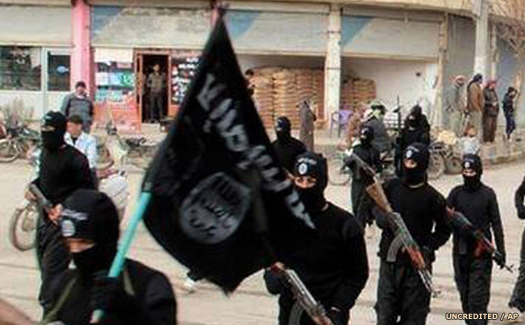 The IS forces sweep south as far as the outskirts of Baghdad before the caliphate is proclaimed on 30 June 2014. By now they control large land corridors throughout the north-west of Iraq and also lay claim to north-eastern areas of Syria, using the River Euphrates as their southern border. Some towns and cities within that area are not necessarily controlled by them, but are cut off from outside support, and the situation remains very fluid. Tikrit is the scene of fierce fighting for control of Saddam Hussein's birthplace. Abu Bakr al-Baghdadi, head of IS. Not generally recognised. Despite still fighting around Tikrit, IS begins to consolidate its holdings. Its self-proclaimed caliph (who is still regarded by most international governments as a terrorist) sends out a call for trained professionals and anyone who supports the caliphate. IS forces systematically hunt down any opponents to its strict Islamic rule, even Shia Muslims. At the end of October 2014 one particular act that is reported by Human Rights Watch seems to highlight the brutality of the self-proclaimed state. IS militants drive six hundred Shia, Christian, and Yazidi male prisoners into the middle of the desert, line them up along the edge of a ravine, and execute them at point blank range. The inmates, taken from a local prison, are forced to count themselves as they line up before their captors open fire on them with machine guns. At least nine survive the massacre by rolling into the ravine and pretending to be dead, or being shielded by the bodies of other prisoners who fall on top of them. Daesh has consolidated its territory and has also established a reputation for medieval brutality which extends to frequent beheadings of captured foreigners (westerners and Middle Easterners alike). It remains an unrecognised political force, one that is firmly labelled a terrorist organisation by much of the world. Now it suffers its first substantial setbacks as western and Arab forces unite to provide Allied air cover for Iraqi and Kurdish resistance. The town of Kobane on the Turkish border is successfully defended by the Kurds with allied air support (although Turkish tanks sit inactive on the hillside above the town, apparently with orders not to support the Kurds who are otherwise seen as a threat to its own security). By February 2015, the Kurds are making careful strategic advances further south. Daesh continues to export terrorism, however. At least two serious atrocities are pinned at their door, the first being the massacre in June of thirty-eight people in Tunisia, when a gunman opens fire on tourists who are staying in the popular resort of Port El Kantaoui, just to the north of Sousse. Thirty of the dead are British. The second act takes place on 13 November, when 130 people are killed and up to 368 injured during a series of coordinated attacks across the French capital of Paris. Having recovered from the initial shock of Daesh launching itself across northern Syria and Iraq almost unopposed, both states have recovered and rallied. Syria, with Russian support, is largely winning its own civil war. Iraq has reorganised and revitalised its own army, while the Kurds in the north can always be guaranteed to provide reliable service and organisation. The Iraqis and Kurds launch effective campaigns around Mosul and in the northern Sinjar Province respectively, while the US-backed Syrian Democratic Forces (SDF) conduct the Raqqa campaign in northern Syria. By July 2017 Mosul is cleared of Daesh fighters while they continue to hold firm in Tal Afar and three towns in the western province of Anbar. Raqqa, the Daesh capital for three years, falls in October 2017. By November a US-backed alliance of Syrian Kurdish and Arab fighters is closing in on the last pocket of territory in eastern Syria that is controlled by Daesh. By now the terrorists control only one percent of the total territory that had previously been under their control. Between 1,500 and 2,000 militants are estimated to be holed up inside the area around the Syrian town of Hajin, in the Middle Euphrates river valley. Many thousands of civilians are trapped inside the Syrian town of Baghuz (or Baghouz), Daesh's final stronghold. The alliance forces slow their advance and try to encourage or allow as many civilians as possible to escape. By 22 March 2019 US-backed Syrian Democratic Forces (SDF) are raising their own flags over the village, signalling the fall of Daesh's state. Despite the loss of its physical territory the group is still seen as a major global security threat, with sleeper cells and armed guerrilla groups across the entire region. The fate of 'Caliph Ibrahim', Abu Bakr al-Baghdadi, is unknown. His last broadcast to his followers had been in August 2018, a month after his son had reportedly been killed in Syria by Russian guided missiles. Refugees from Baghuz claim that he had ordered them to leave the town, while a spokesman for the SDF states firmly that 'we do not think he is in Syria'.